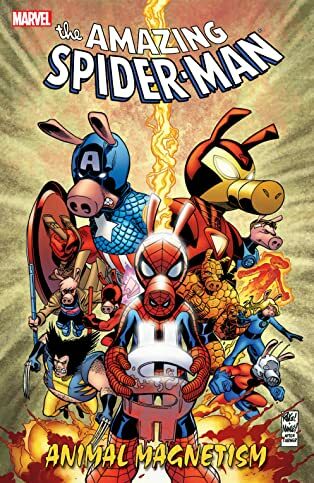 Collects Spider-Man: Back In Quack, Spider-Ham 25th Anniversary Special, Ultimate Civil War Spider-Ham and material from Top Dog #10. Four tales of animal-oriented action! Howard the Duck's brain has been thoroughly scrubbed, his hard-edged humor carefully dulled down for maximum demographic acceptance, and it's up to Peter Parker to set the duck straight - but does the world prefer Howard this way? Also, it's a SPIDER-HAM celebration as the Spider-Pig turns 25! 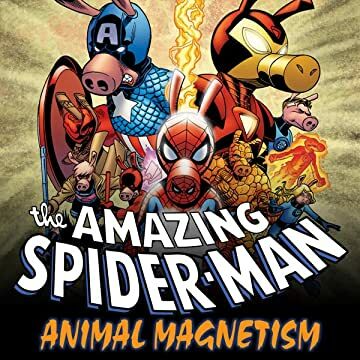 When J. Jonah Jackal, Mary Crane and Peter Porker's beloved Aunt May are kidnapped on his 25th birthday, Spider-Ham must battle Doctor Octopuss and the Swinester Six! Six-to-one odds? Don't get your tail in a bunch - when the slop's on, this pig throws down. Then, strap yourself in for quite possibly the most important comic story ever! A life-changing event that will forever alter the way you look at yourself and the world around you! Spinning out of the page of CIVIL WAR - and every other top-selling comic crossover event you can think of - it's ULTIMATE CIVIL WAR SPIDER-HAM FRISIS (FEATURING WOLVER-HAM)! Plus: Star Comics stalwart Top Dog moves deeper into super-hero territory when he faces an evil twin and encounters a Marvel Universe icon, but NOT in the way you'd expect!